When it comes to eating healthy, one of the hardest parts is staying away from sweets. Luckily, we can have our cake (so to speak) and eat it too now that a handful of brands have created ice cream that's good for you. OK, that might be a stretch, but with fewer calories (as in, less than half) and grams of sugar and a whole heck of a lot more protein, "nice creams" make indulging in a cool, sweat treat a little less guilt-inducing. Sounds like a dream right? To help you decide which of the high-protein ice creams are worth a scoop, we tested all the most popular brands the frozen food aisle has to offer. 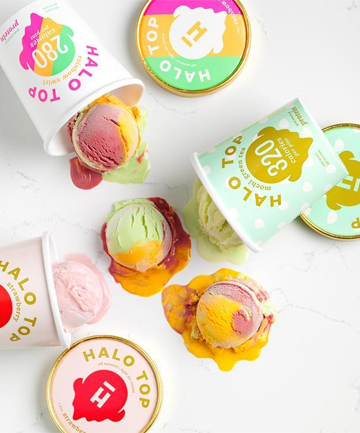 Read on to find out which brands are chalky fakers and which ones taste just as good as traditional ice creams.